I wonder if there is any other club in the world that has people so invested into getting in or not like Berghain. The notorious door policy of the famous techno club, the long lines, the much feared getting-bounced-part. 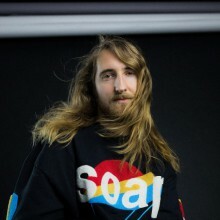 All of this kind of created a whole genre of internet entertainment all dedicated to (ironic or serious) tips on how to pass the strict door men, how to dress and how to behave inside. For us old Berliners this has taken almost comical proportions, but I can’t help it, I still enjoy all of these little projects and articles about it, even though I personally haven’t gone to the club in years. What is interesting about it, is that the website records your voice and video and analyzes your reactions, measuring certain emotional aspects of your responses and than decides if you get in or not. The metrics used to calculate how well you pass the tests should definitely not be taken too serious, but from a entertainment point of view this is an original and fun little game with a big Berlin bonus. 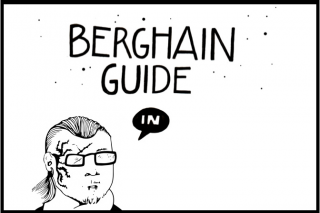 An Illustrated Guide on Getting into Berghain……………………..The Line at Berghain by Nicola Napoli…..